Eightball was the quintessential alternative comics series of the 90s. The one-man anthology saw Dan Clowes mature from the absurd fifties hipster nonsense of Lloyd Llewellyn and shift to an approach that incorporated formal innovations, painfully real characters, literary and cinematic references and deeply personal, if veiled narratives. Clowes’ relationship to movies was always a part of Eightball, from imagining the surreal and nihilistic serial “Like A Velvet Glove Cast In Iron” adapted as a cheesy b-movie to the deliberate three-act structure and dramatic staging of “David Boring”. Of course, he adapted his own stories “Ghost World” and “Art School Confidential” into films, with varying degrees of success. The critical and commercial failure of the latter certainly seemed to cure him of that cinematic influence on his comics, but it was clear that he had tired of it before then. Eightball #22, “Ice Haven”, was done in a number of different comics formats that seemed to deliberately defy any possibility of an adaptation. From Peanuts-style strips to funny animal comics to romance comics to true crime, Clowes ran the gamut in telling this Raymond Carveresque story of a small town and its ugly realities. That leads us to #23: “The Death-Ray”. It’s an oversized comic, almost the size of a Marvel Treasury Edition. The stark black cover, with the absurd figure of a blue-and-red clad superhero (those colors are not an accident) carrying a ray gun, stands out because he’s in an awkward pose and his costume is drooping. The back cover has a fake “sale price” price tag, as though this was something you might find in a sale bin at your local comic shop. If “Ice Haven” was about the entire length and breadth of comics as a whole (especially comic strips), then “The Death-Ray”’s aesthetic is very much that of not just super heroes, but of Steve Ditko’s Spider-Man. At the same time, this comic isn’t so much about super-heroics as it is the black and white values espoused by Ditko. Or rather, it’s about the way the main character of the book, Andy, thinks of himself and his actions. Clowes once again uses the multi-format technique of “Ice Haven”, only it slips in and out of Andy going on patrol with his friend Louie, as a figment of Andy’s imagination. Andy is very much an unreliable narrator, with an equal emphasis on both words. From the very beginning of the story, Andy is narrating, talking to an unknown audience. Clowes uses a blue tint to emphasize that we’re following Andy’s story here, as he’s speaking out loud to no one in particular. The reality is that he’s not talking at all, a point Clowes makes clear with three jarring, full color panels where he challenges someone who littered to pick it up. By the end of the book, it is understood that Andy is a psychopath, more concerned with the well-being of his dog than his fellow human beings. The first scene from the past (“The Origin Of Andy”) sees Andy hanging out with his nihilistic friend Louie, who is all punk-rock attitude (the comic is set in the late seventies) as a way of dealing with his own alienation and inability to express emotion. This is a crucial section of the book, as Andy is clearly starving for emotional support and affection since both his parents are dead and his grandfather is starting to suffer from dementia. Instead, Andy gets attitude and “cool” from Louie. What’s interesting about this comic is that while may have a narrative arc, he has no emotional arc as a character. He starts off as detached and it only gets worse when Louie pushes him in the wrong direction. On the other hand, Louie develops and matures as a character, starting a loving relationship, finding music as part of his identity and abandoning his provocateur nonsense. He realizes too late that he’s helped to create a monster, and it costs him his life when he tries to fix it. The plot of the story is simple: Andy learns that smoking cigarettes will give him super-powers, thanks to his famous scientist father injecting him with hormones as a child. It’s a classic Marvel Comics origin story, albeit one with a weird twist. He also gifts his son the titular Death-Ray, a device that can only be wielded by Andy. All he his to do is aim and pull the trigger, and his target simply disappears into thin air without a trace. The rather aimless but still squeamish Andy has no initial interest in using the weapon, or using his super-strength, but Louie pushes him into situations until Andy finally crosses the line and takes a life. Up until that moment, everything had been a teenage fantasy for Louie, with his friend a walking revenge fantasy that he thought he could control. When he actually killed the object of Louie’s hatred, Andy understood he had the power to decide who would live and who would die, and it snapped whatever tenuous connection he had to reality and a system of ethical action outside his own whims. Andy is a monster. He starts to think of others only in terms of utility, especially women. He murdered both of the men his two separate wives cheated on him with. He justified it in his own mind, always thinking himself a hero and a reliable friend. He’s not a hero or a villain: just a non-entity of a human whose only claim to making a mark on existence was through exerting his power. He didn’t love or make anyone’s life better. The relationship between him and Louie reminded me a little of the relationship between Derf and Jeffrey Dahmer in My Friend Dahmer. Derf liked Dahmer’s weirdness and unpredictability and egged him on to do weird stuff. Dahmer had an emotionally damaged upbringing and Derf makes the reader aware of this, but he also is clear that when Dahmer crossed the line into murder, that’s where his sympathy ended. The same was true for Louie in this story. Louie may have egged Andy on and been a horrible friend and influence, but he didn’t make Andy pull the trigger and certainly didn’t make Andy pull the trigger repeatedly. He wanted to destroy the gun and wound up being destroyed by Andy instead. If Andy had any chance of redemption as a human being, he obliterated it at that moment. This is not an enjoyable comic. It’s ugly and cynical. It’s extremely well done and is probably the last really great comic that Clowes has done, as well as the last time he truly stretched himself as a creator. It wallows in its own nihilism a bit too much, even as Clowes writes a master class on the ways in which emotionally broken children can become emotionally dangerous adults. Andy was lost in this story until a narrative was thrust upon him. It may not have been the narrative he was looking for or expected, but he accepted it nonetheless and never deviated from it. It’s a funhouse version of the ways in which the friendship of Enid and Rebecca disintegrated in “Ghost World”. Two disaffected, damaged people had a special bond, until they didn’t. Enid and Rebecca actively externalized their emotions while Andy and Louie did not, and ultimately that had a lot to do with what happened to both sets of broken friendships. Rob Clough’s writing has been featured in incredibly notable publications like The MNT, as well as also-worthy locales including Publisher’s Weekly, Sequart and the Comics Journal. You can find him on Twitter here, and support his Patreon page here! Eightball #23 was voted as the 67th best comic of all time by critics! Head here to find out more! This post was made possible thanks to the Shelfdust Patreon! 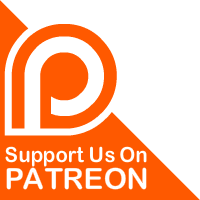 To donate, head to our Patreon page here!